Rewarding careers are awaiting you in a variety of fields, including pharmaceutical, medicine, veterinary, dental & public health, industrial research and development, food industry and food safety, forensic science, biofuels and bioenergy, government and education. A general description of microbiology and the microbiology major at UNL. 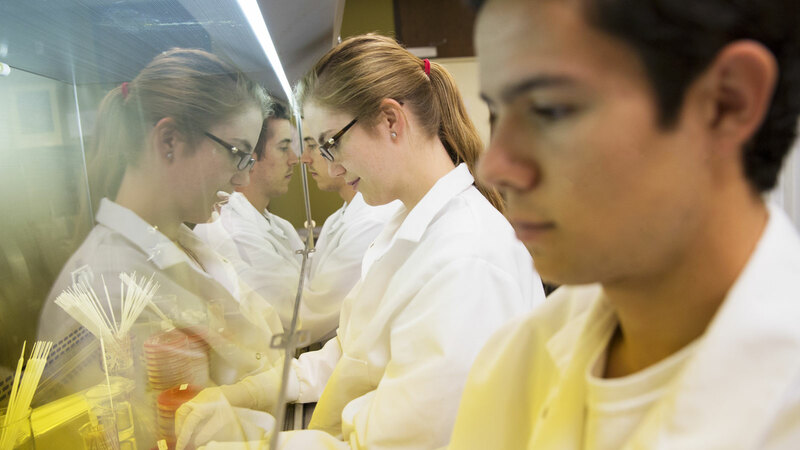 One microbiology major's story at UNL. 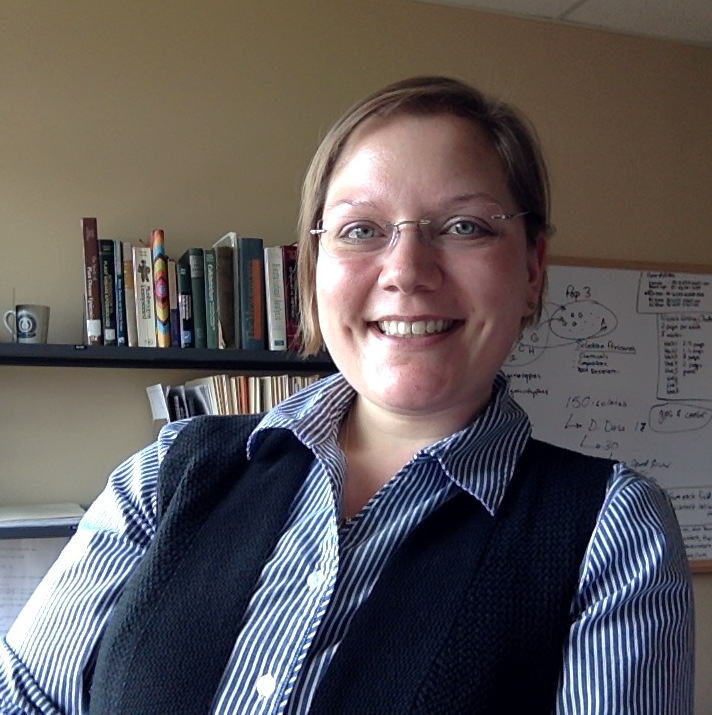 Sydney Everhart is an assistant professor in the Department of Plant Pathology. Her research interests are to characterize the emergence and spread of important fungal plant pathogens using spatiotemporal epidemiology, population genetics, and whole-genome sequencing. The long-term goal of Everhart’s research is to develop a better understanding of how pathogens evolve under stress and how that relates to emergence of phenotypic traits, such as fungicide resistance. Current research in the Everhart lab is focused on two important fungal plant pathogens, Sclerotinia sclerotiorum and Rhizoctonia solani, which affect several economically important crops in Nebraska. Prior to joining UNL, Everhart was a postdoctoral fellow at Oregon State University and used bioinformatics techniques to sequence, assemble, and annotate the genomes of more than one hundred isolates of the devastating plant pathogen, Phytophthora ramorum, as part of a collaborative project. She received her Ph.D. from the University of Georgia, where her research characterized the 3-dimensional patterns of disease outbreaks and population dynamics of the peach brown rot pathogen, Monilinia fructicola. Everhart currently teaches courses of interest to microbiology students. One is entitled “Disease Dynamics and Evolution” and taught in the spring semester of even-numbered years and the other is a programming course called “Introduction to R with Applications in Population Genetics and Advanced Epidemiology”, taught in the summer. Aside from research and teaching, Everhart is passionate about being an advocate for women and minorities in science and when not doing science, she can be found mountain biking the paths and trails of Lincoln.